A wild road rage incident led to a fiery crash in Mississauga and an assault of a woman last night in another incident involving sport motorcycles riding together as a group while performing stunts. 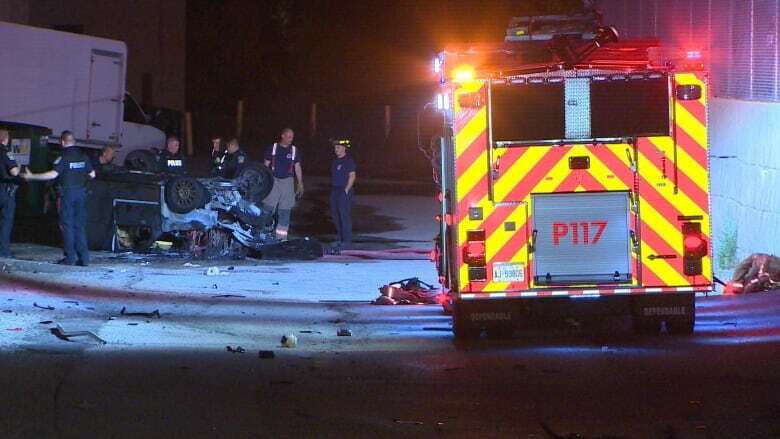 A wild road rage incident led to a fiery crash in Mississauga and an assault of a woman last night in another incident involving a group of sport motorcycles riding together while performing stunts. At about 10:30 p.m. police were called about a group of "crotch-rocket" style motorcycles riding together and impeding traffic on the westbound Highway 401 at Dixie Road. 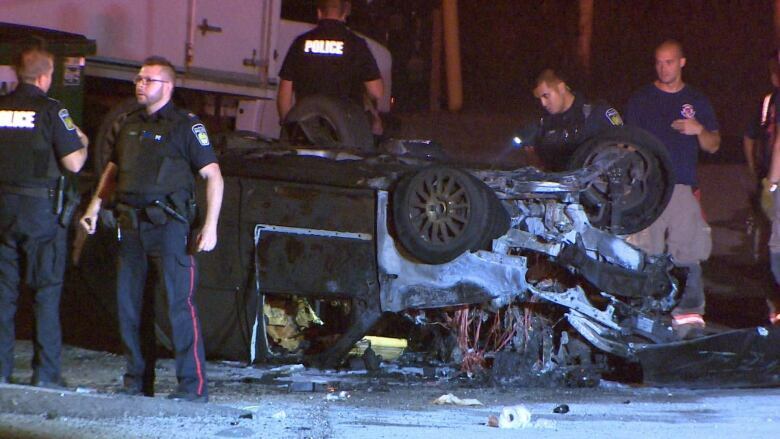 "They were blocking all the lanes, performing stunts, doing wheelies," Ontario Provincial Police Staff Sgt. Kerry Schmidt said. That triggered an altercation between the motorcycles and the male driver of a car, in which the car's mirror was damaged. The car and the motorcycles got off the highway on Dixie Road, where the altercation continued. At some point a woman who was a passenger in the car, got outside the vehicle and was assaulted, according to police. The male driver of the car then drove away, following some of the motorcycle riders at high speed. The car ended up rolling over and crashing in an alleyway off Aerowood Drive. When firefighters arrived, the car was fully engulfed in flames but the driver managed to escape. He was taken to hospital by Peel paramedics and treated for minor injuries. He was scheduled to appear in a Brampton court Friday and was held in custody pending a bail hearing. None of the motorcycle riders have been charged, Schmidt said. The woman also suffered minor injuries and will not face charges. OPP and Peel Regional Police are appealing for witnesses to come forward. Schmidt said drivers should never chase other vehicles or get pulled into a confrontation. "We don't want people getting involved with other motorists. If you see a problem on the highway, call 911." Earlier this month, a large group of motorcycles rode through another area of Mississauga while driving fast and performing stunts. One of the bikes in that incident crashed and burst into flames. Peel police say after that collision a rider leapt off the damaged bike and onto another motorcycle that quickly fled the scene.